Did you know our Hatboro Little League Equipment Manager, Rob Gutekunst repairs, relaces, cleans and conditions gloves? He prides himself on quality work at reasonable prices. Rob also has a building inventory of gloves available. 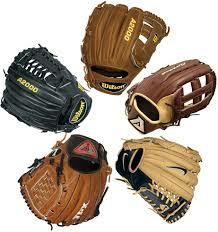 He has extensive glove knowledge and can give you advice on buying the right glove, considering type, size etc. Feel free to contact him with any and all questions you may have about gloves!